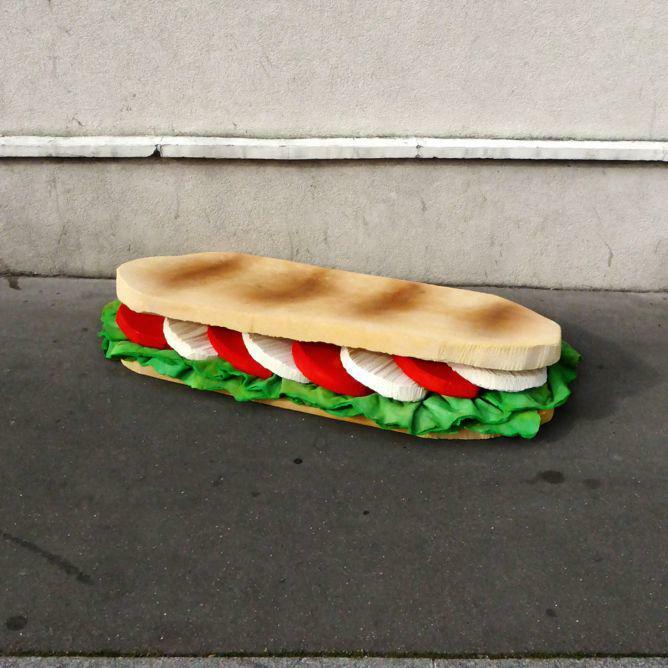 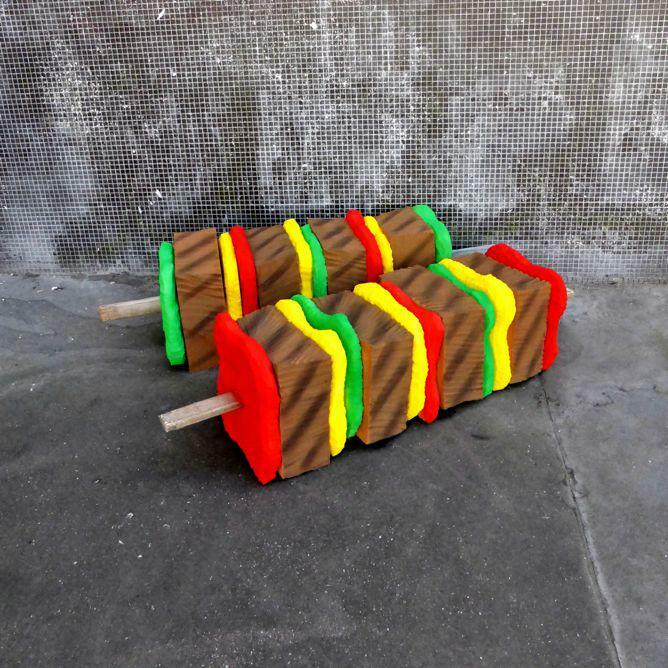 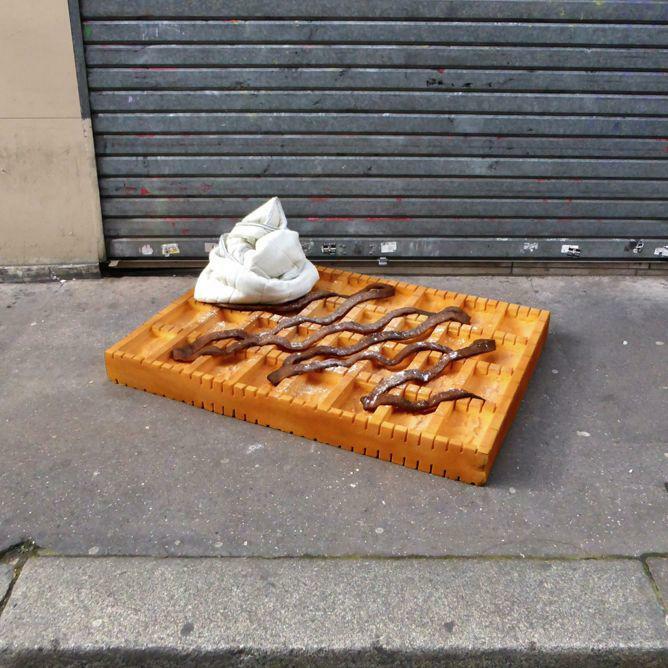 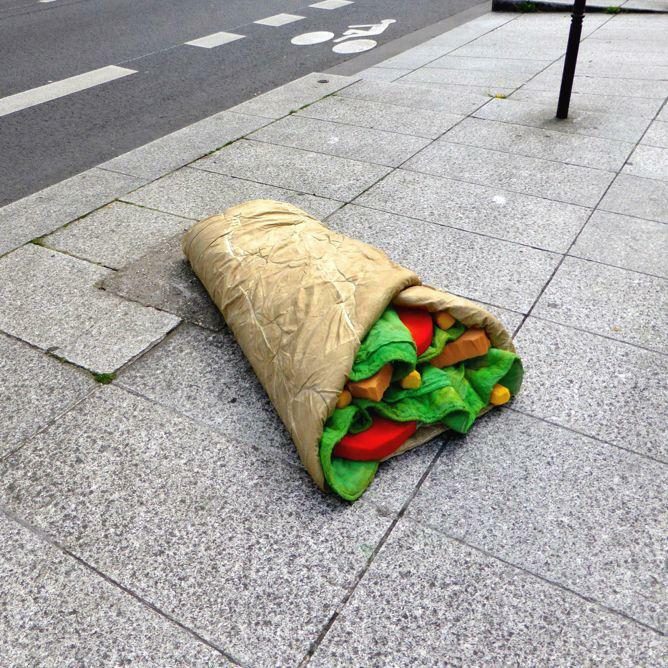 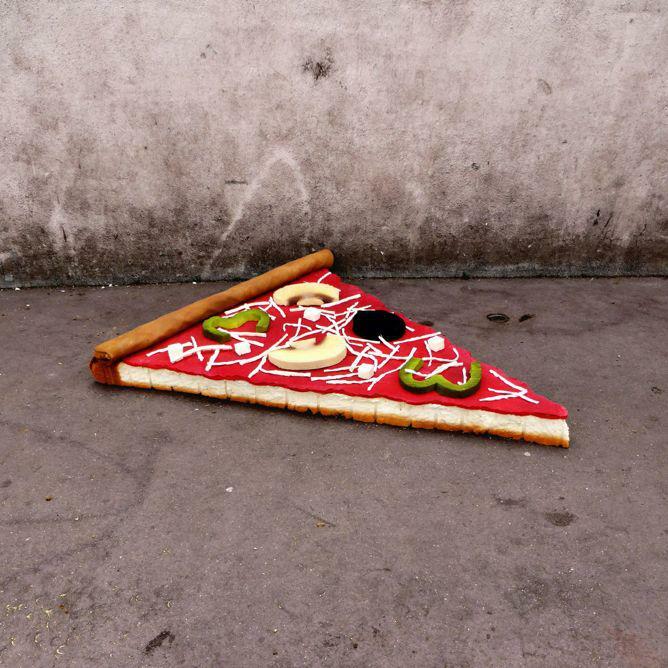 Eat Me by Lor-K is a series of discarded mattresses turned into food sculptures on the streets of Paris. 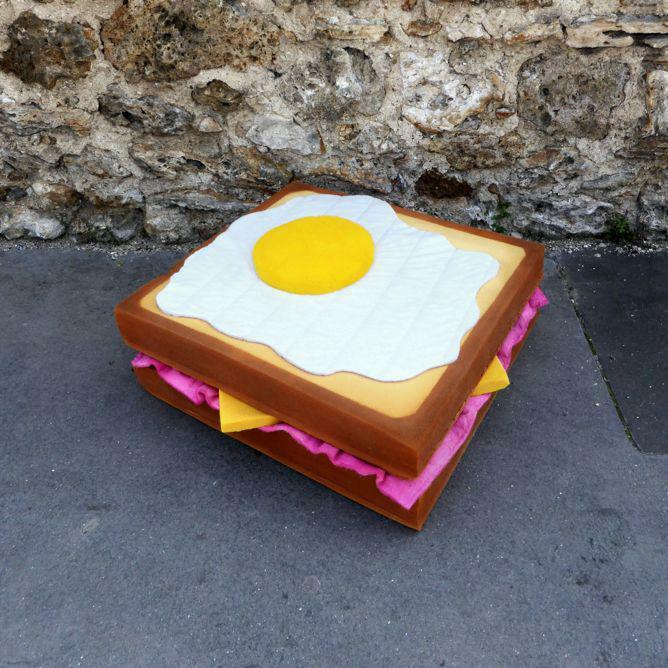 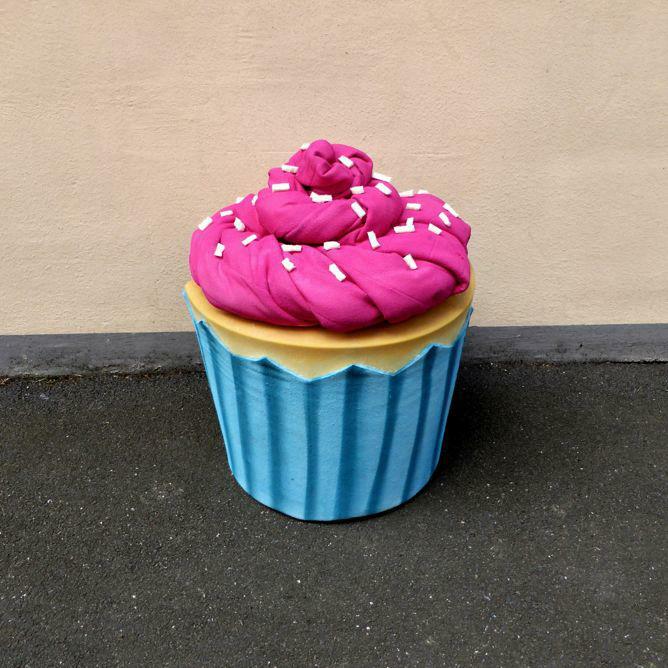 Lor-K is a Parisian street artist whose latest series, “Eat Me,” is composed of colorful food sculptures made of discarded mattresses. 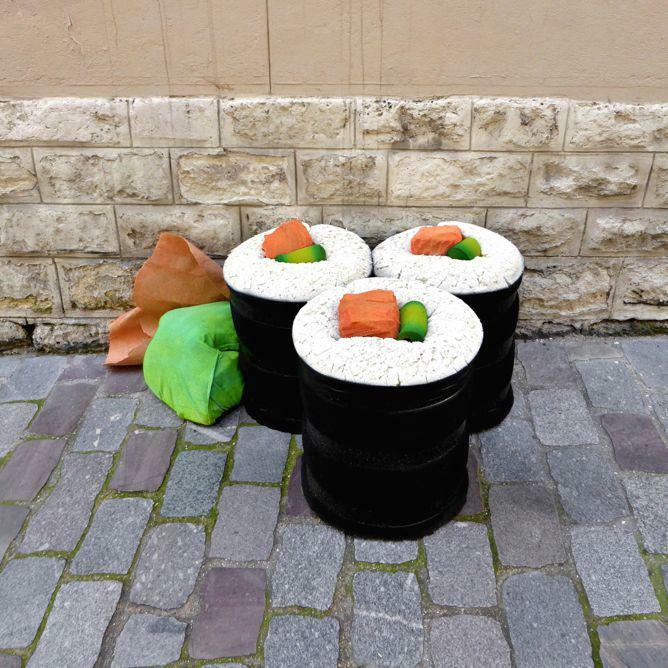 Parisian artist Lor-K has spent the past six years turning wayward street trash into ephemeral urban sculptures. 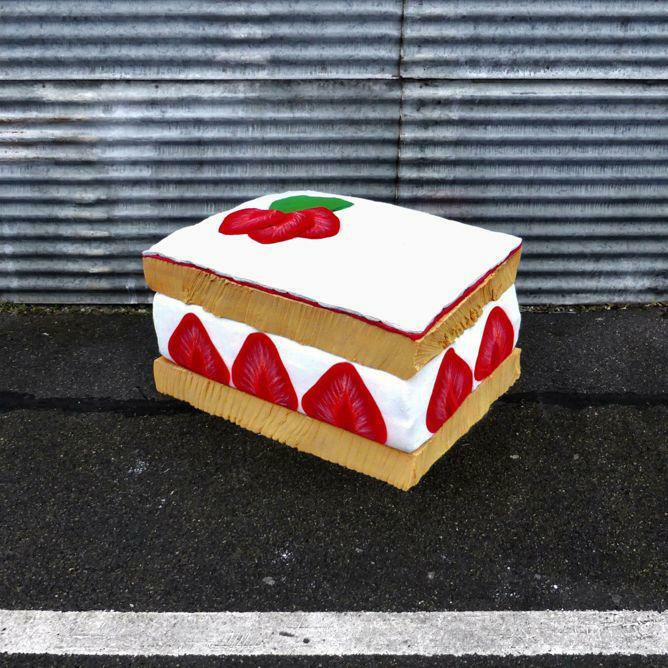 For her latest project, “Eat Me,” she transformed a series of discarded mattresses into tantalizing larger-than-life caricatures of pizza, cake, sushi, waffles, and other treats. 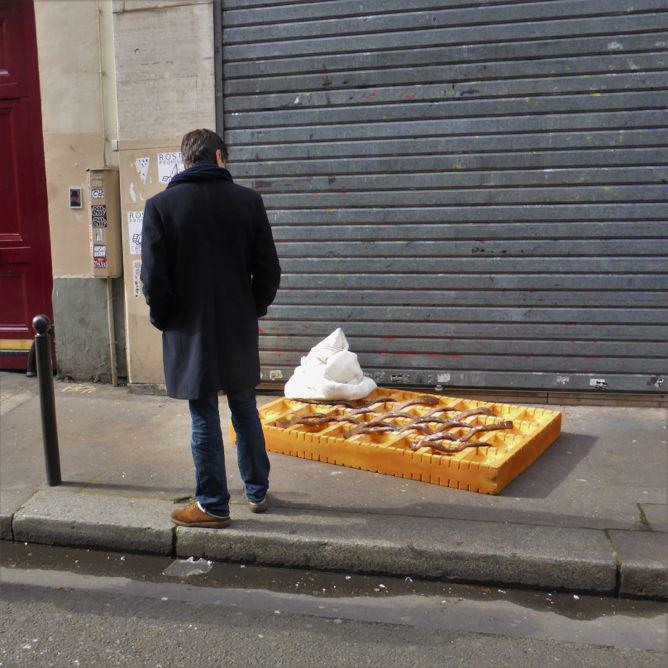 While she said her head is always full of images that she’d like to “cook,” she improvises according to what she finds on the sidewalk, where she creates—and ultimately abandons—her work (after filming herself during the creation process and photographing the end result for web posterity, of course). 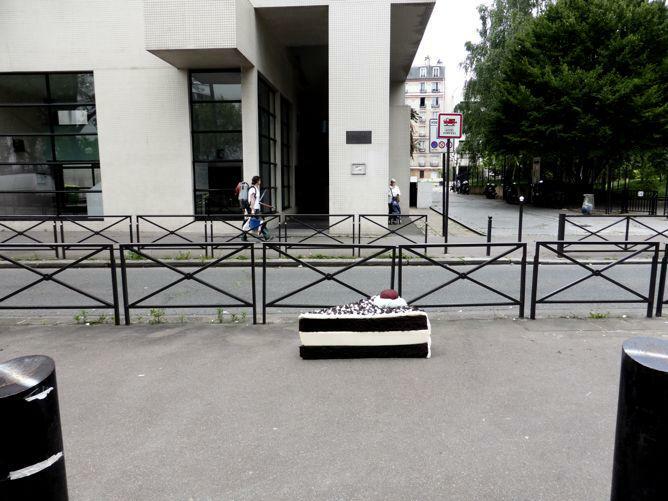 Lor-K said that she turned her attention to mattresses for her latest project because they are easily found on the street, where “the stigmatism of their past life, of their spots and stains” make them nothing but undesirable urban clutter that is rarely recycled or reused.